Fall decorating always seems to sneak up on me. I just finish transitioning to back-to-school life, full of soccer games and homework, and all of a sudden it’s October and my few but cute fall decorations wait patiently in bins in our storage room for me to remember them. Here are some fun fall decorating ideas I found on Pintrest, easy to more challenging. I love the satisfaction of home-made, and maybe you do too! They are using live roses, but I might find these at Hobby Lobby for a low-maintenence version. A little more effort, but how cool! Paint your pumpkins white, then just press in brass tacks! Hope you are having a wonderful end of summer, and can enjoy letting a little fall in through the front door! Anyone relate? I have been guilty of each one of these. I love that there is another way offered….this is the true blessing of following God. We have another choice for our thoughts, behaviors, and actions. There is a wise God who watches over us, lives in our hearts, whispers another way when our senses cry out to satisfy our sinful nature. He is gracious. God doesn’t yell at us or beat his fist when we go the wrong way. Instead, he lets us face the unpleasant consequences and reaches out is mighty hand to lift us up, help us brush the dirt off our pants, and go forward with a lesson learned and a loving hug. Hello! The following post is from a Guest Blogger named Hester. 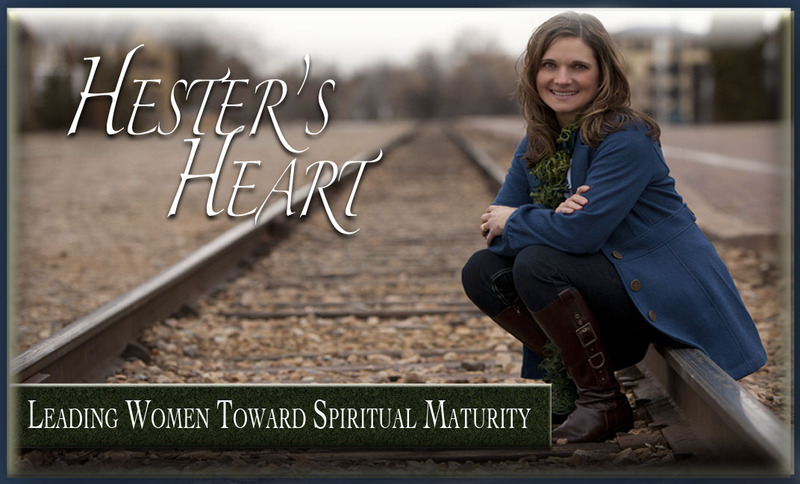 She has a wonderful blog called Hester’s Heart that I encourage you to visit. I know of Hester through a mutual friend in Washington state. She has a gift for teaching and writing and I wanted to pass on one of her lastest posts, with her permission. Thank you Hester! Voices raised, frustrations escalated and irritations, evident. Last week, while in the kitchen, I overheard commotion between two of our children. Back and forth they went until one loudly blurted, “I’m trying to do what God taught me in my devotion this morning, but you’re making it really difficult!” He emphatically continued, “God told me not to return evil for evil but you make it impossible!” I quietly chuckled and just had to smirk at his unashamed and upfront honesty. Been there, done that, bought the t-shirt. Boy, oh boy. How often do I try to blame others for my actions, that are of course, completely justified? If it wasn’t for the check out lady playing Jenga with my groceries, I could be more patient. If it wasn’t for the man trying to secure a home loan in the bank drive-thru, I could be more tolerant. If it wasn’t for the stores unreasonable return policy, I could be more understanding. If it wasn’t for my disobedient children, I could be a gracious and loving mother. If it wasn’t for her lack of open-mindedness, I wouldn’t feel like judging her. If it wasn’t for their sharp tongue, I wouldn’t have to retaliate. If it wasn’t for his insensitivity, I wouldn’t be so angry. If it wasn’t for their self-centeredness, I wouldn’t have to pretend to love them. Honestly, I hate the ugliness that wells up inside me when I face frustrating scenarios. I want to respond honorably, but in my haste, sometimes I hesitate to have reputable reactions. Time and again, the Lord reproves me of my responsibility in the matter. We cannot change people . . . regardless. We cannot force people to respond fairly . . .regardless. We cannot blame others for our back-lash . . .regardless. We are responsible for our reactions . . . regardless. Our reactions impact our relationships . . . regardless. We must choose to reciprocate in righteousness . . . regardless. In Romans 12 Paul exhorts his audience with several biblical instructions. Verse 17 and following pinpoints godly reactions. “Do not repay evil for evil. Be careful to do what is right in the eyes of everybody. If it is possible, as far as it depends on you, live at peace with everyone. Do not be overcome by evil, but overcome evil with good.” Human nature wants to get revenge. When we are hurt or mistreated we often feel the need to teach a lesson, recover the damage or prove our rightness. Paul insists we are not to repay evil with an evil response. Rather, we are to conquer evil with uprightness. Living at peace with others carries weighty responsibility for the believer. As much as we can, we are to be agreeable and peaceable with others, even when they wrong us. This means we resist the urge to seek vengeance. This doesn’t mean we ignore the offense. But, it does mean we refuse to be offensive. Resolution is possible when our reactions are communicated with respect, diplomacy and love. When we respond righteously and the other party doesn’t, we can be at peace because we have chosen to react correctly. We no longer carry the burden and the shame is on their shoulders. The reality is, there will ALWAYS be people who annoy us, schedules that bother us and circumstances that create chaos. Each time we encounter them we have a decision: a righteous response or an unrighteous reaction . . . regardless. Heart Work: Consider the ways you try to justify your actions/reactions. Seek the Lord for His supernatural strength to be upright in your reactions . . . especially with the most difficult circumstances. Choose a verse from below to memorize and meditate on this week. When tensions rise repeat this Scripture over and over until its truth rearranges your heart. Heart Exam: What specific situation(s) really push your buttons? Can you identify the root in this matter? Are you prepared to accept your share of the responsibility? What would a righteous response look like? Heart Changing Word: Proverbs 10:19 (NIV 1984) “When words are many, sin is not absent, but he who holds his tongue is wise.” Proverbs 12:18 “Reckless words pierce like a sword, but the tongue of the wise brings healing.” Proverbs 15:1 “A gentle answer turns away wrath, but a harsh word stirs up anger.” Proverbs 21:23 “He who guards his mouth and his tongue keeps himself from calamity.” Romans 12:21 “Do not be overcome by evil, but overcome evil with good.” Ephesians 4:29 & 31 “Do not let any unwholesome talk come out of your mouths, but only what is helpful for building others up according to their needs, that it may benefit those who listen. 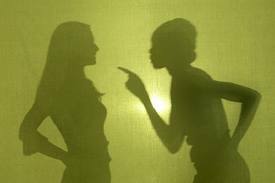 Get rid of all bitterness, rage, and anger, brawling and slander, along with every form of malice.” James 3:9 “With the tongue we praise our Lord and Father, and with it we curse men, who have been made in God’s likeness. Out of the same mouth come praise and cursing. My brothers, this should not be.” Copyright 2012 by Hester Christensen. All rights reserved. Donna Ramstead! Yeah! Hooray! Your gift is on its way! You won this wonderful necklace set from M-a-Lee Ojewelka Fashion Jewelry and our dear friend Skye (a wonderful supporter of our blog!) Thank you everyone! Don’t forget to check out the daily posts on our Facebook page for the August Challenge, 31 days to pray Biblical Virtues for your children!